Teak Deck Sealer is a no mess. easy to apply sealer. Teak decks will be protected from the elements and spills of all kinds. The ingredients in the sealer will cure to a clear coating over 24 hours, giving lasting protection and longer life. THE TEAK DECK SHOULD BE CLEANED WITH TEAK WASH PRIOR TO SEALING. POUR TEAK SEALER INTO A BUCKET. 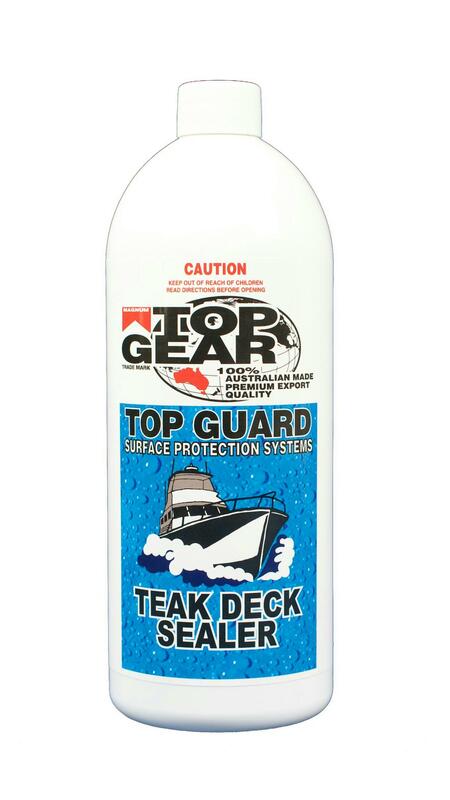 APPLY DIRECTLY TO TEAK USING TOP GEAR WHITE UTILITY PAD OR A WOOL COVER PAD. MAKE SURE THAT ALL AREAS ARE COMPLETELY AND EVENLY COVERED.